Since Jean-Marc showed me these plants, lots of ideas have started flowing through my mind. 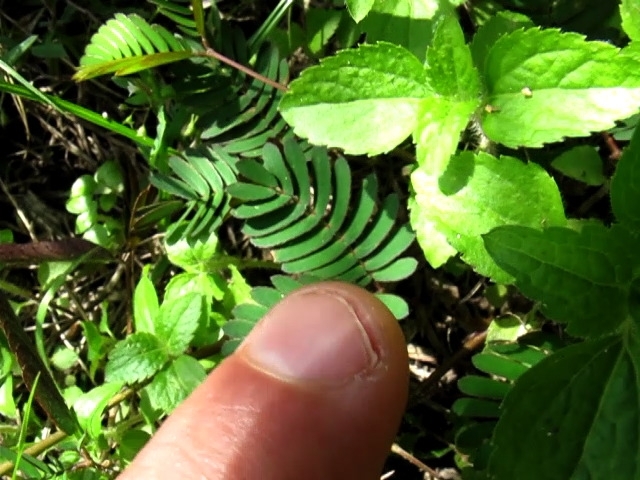 The mimosa pudica grow on the ComPeung ground and they are very impressive. Watch the video to get the idea... As thus, I've started looking at touch sensing electronic devices. There's now an Arduino library available for such applications, I haven't tested it yet but it's worth trying. This looks like an interesting project wrt plants reactions. The idea is to send a small current to a plant and amplifies the signal. It also has links to other interesting projects (scroll down the page). In particular this page contains a long explanation of the process as well as a schematics. Here is a small class that I implemented which works GREAT for detecting touches. It also explains the circuit that needs to be built. * along with this program. If not, see . The sensor is a simple copper plate, with or without insulation.